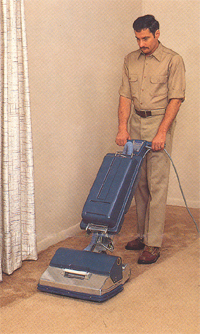 Basically, there are two types of carpet cleaning..."Restoration" and "Maintenance". Restoration methods used on extremely soiled carpet require lots of detergents and water. Although this may be the most efficient and remove the most soil, it�s not the safest for your carpet. Large amounts of water get absorbed by the latex backing. 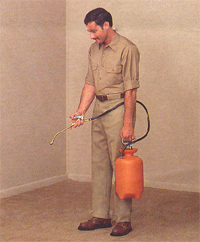 Thus, expansion and contraction of the latex deteriorates the backing over time and shortens a carpets life. Large amounts of detergent residues can also cause resoiling problems. 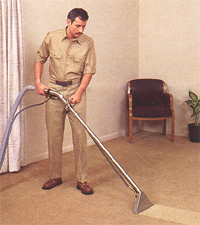 Thus, the need for good maintenance systems which can reduce or eliminate the need to �Restore� a carpet. Maintenance systems are generally low in moisture, fast drying, less disruptive, quicker, easier, less labor intensive, and less expensive. Unfortunately for the most part, they don�t clean quite as well as "Restoration Systems", and as a result must be done more frequently, before soil levels reach the point of �Restoration�. Rule of thumb is to clean the carpet before it becomes visually dirty. Those tough spots which develop between cleanings will be removed by expertly trained and equipped specialists. The removal of all spots helps prolong the high appearance level desired. For 'disaster spills', emergency service is available for those unfortunate accidents which require immediate attention. Special meaintenance for unusual problem areas. Commercial carpet areas can have unusual problems which require special attention to maximize appearance. These special areas will be noted and maintenance recommended as appropriate. 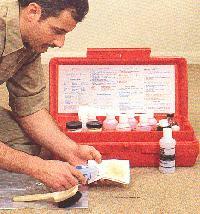 A carpet protector may be the answer for heavy traffic or possible spillage. A long term antimicrobial carpet deodorizer may be required in moist or high humidity areas to prevent odors from mold, mildew, or bacteria growth. Hexatrac will implement the appropriate maintenance. A through cleaning of even new carpet will be made in order to insure that all construction and/or installation dirts are removed. The corrective cleaning maybe performed by rotary extraction or hot water extraction methods. The result is insurance that your carpet appearance management program begins with the highest appearance level possible. In addition to regular daily vacuuming performed by your firm�s maintenance personnel, power pile lifting will be scheduled according to area traffic conditions. Power pile lifting is designed to lift carpet pile which has 'laid down' and entrapped dry abrasive soils. 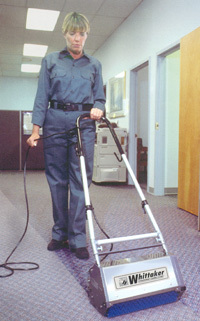 Additionally, power pile lifting combs the fibers resulting in higher carpet appearance.